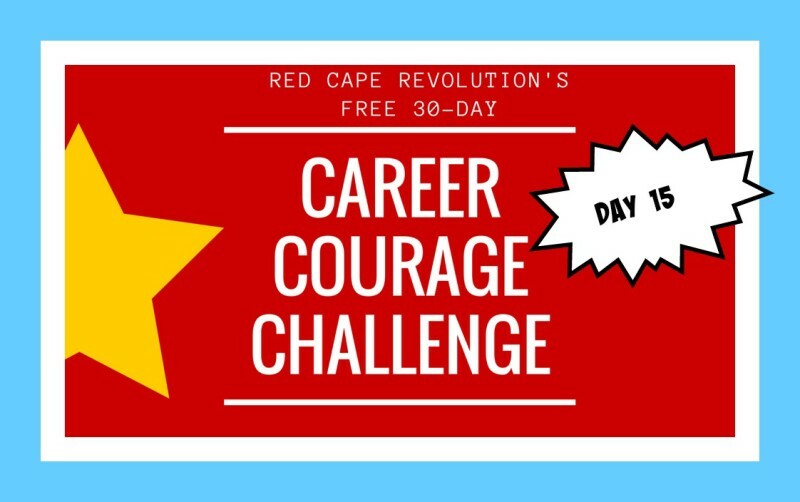 We’re starting week 3 of our Career Courage Challenge. Are you ready? I am! Keep sharing your stories and experiences in email or in the Comments at the end of this article, or on Facebook and LinkedIn, too. And remember, I’ve been taking the challenges along with you–just check out the Comments. As we start a new week, it’s time to face the biggest question of all. What do you want career courage for in the first place? Something brought you here (both to this challenge and to the place you are in your life). Something’s calling you to be a little more brave, to be a little more daring. My guess is that it’s because there’s something you want to change–but you’re a little afraid of what that will mean. Figure it out. Don’t talk yourself out of it. Be real with it. Write it down. Getting the clarity about what you want helps you gain the courage you need. This video from our archives is a little longer than the others (12 min, 31 sec) but includes many valuable resources for you to use. Also check out our Free Tools page for more. For me, I want more career courage to be able to be of service to more people, more often, to help them see how they can change their lives at work for the better, for good. I don’t want to pull back or chicken out just because some of the things I’m doing may be hard or unpopular. I want to make sure I’m making a difference. What do you want more career courage for?